If you’ve been looking up contractors offering kitchen remodeling services online, you’ve probably read about the kitchen triangle. The concept behind the triangle is that everything in the kitchen revolves around three things: the stove, sink and refrigerator. In theory, placing these three focal points near each other makes it easier and more efficient to move around and cook in the kitchen. The problem is that the idea of the kitchen triangle, created in the 1940s when the entire kitchen revolved around those three appliances, is outdated. Hundreds of new appliances have been created since then and drastically reduced the number of people needed to cook meals. Consumables Zone – For keeping food, which can either go to the fresh food zone (like your fridge) or the dry goods zone (like your shelves and cabinets). Non-Consumables Zone – For containers and cutlery. Cleaning Zone – For washing the dishes. Preparation Zone – For prep work. Cooking Zone – For the stove, the oven or any tool for cooking. It’s recommended that the zones be placed according to the order in which they’re listed above. But there will always be exceptions to this layout because the kitchen layout has to be suited to your needs and preferences. That’s why it’d be best to consult a kitchen designer when remodeling, so you can get a custom kitchen remodeling design. A kitchen designer takes into account your needs and comes up with a layout that will help make working in the kitchen easier for you. Design isn’t just streamlining the aesthetics of your home. Design aims to fuse function and aesthetics, allowing a house to be efficient while remaining visually and thematically pleasing. 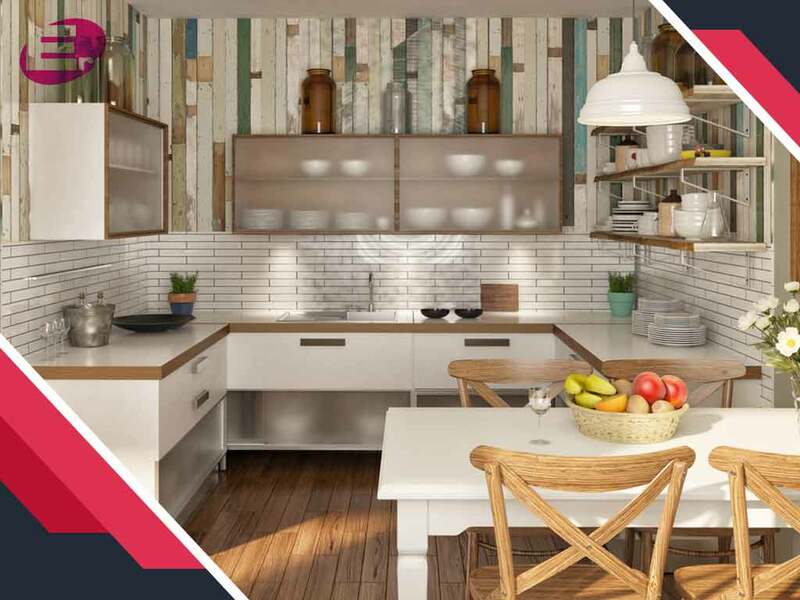 And as such, part of a designer’s job is to also figure out how the new kitchen layout will fit in with the wider aesthetics of your house, as well as your preferences. Eren Design and Remodeling can help with your need for remodeling or home additions services. Contact us today at (520) 885-2500 or use this form. We work with homeowners in Marana, AZ.